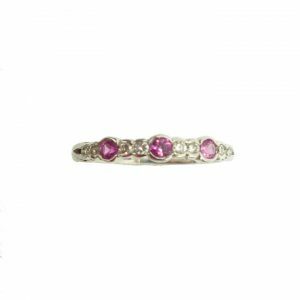 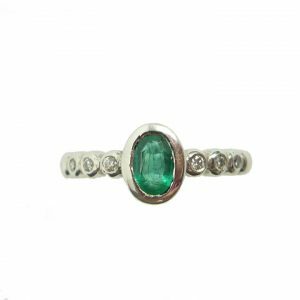 This amazing 3 stone ring uses several different cuts of stone to give the most incredible collection of sparkle and luxury. 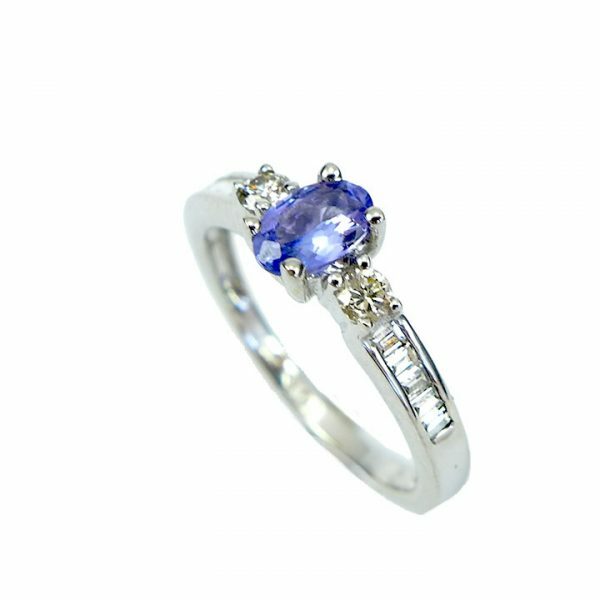 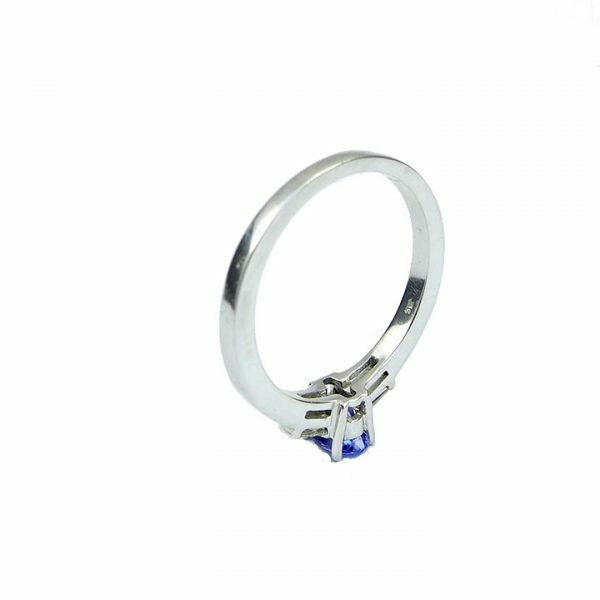 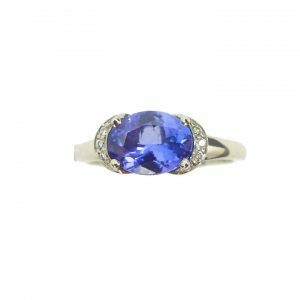 Tanzanite diamond cluster ring made in 18 carat white gold.This ring is set with 1 x 0.50 carat oval cut AA tanzanite 2 x 0.05 carat round brilliant cut diamonds and 10 x 0.010 carat baguette cut diamonds. 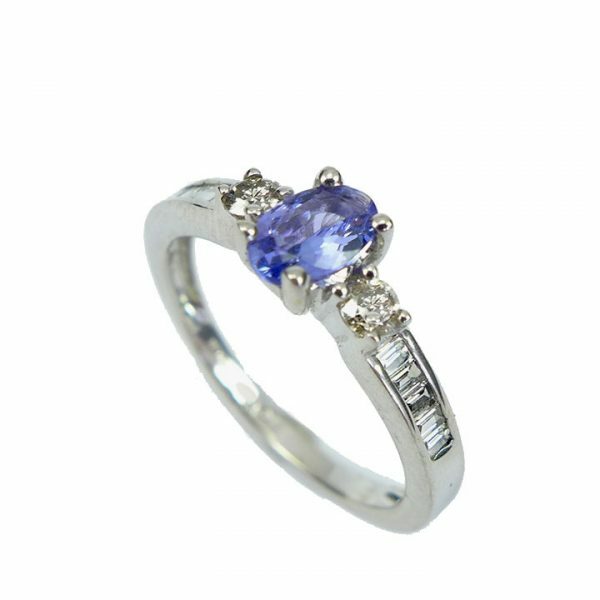 The ring is a finger size O 1/2 and has a full set of hallmarks. 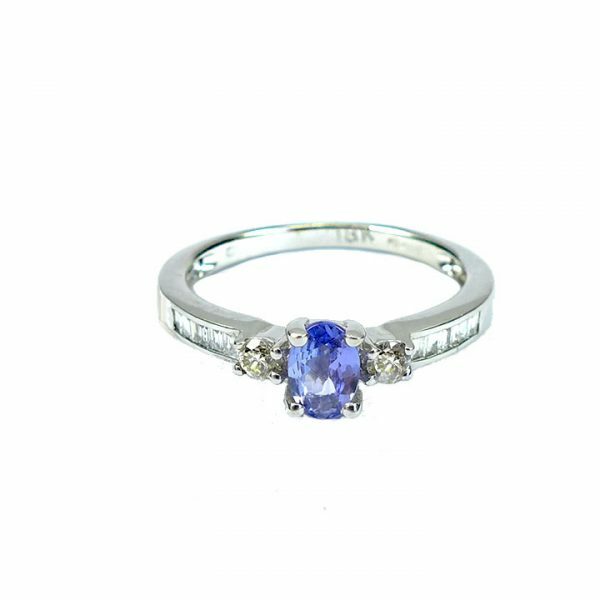 The ring weighs 3.2 grams. 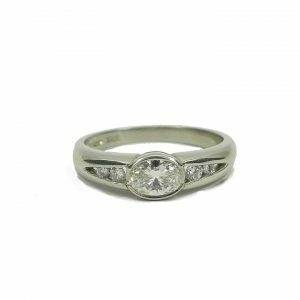 Diamond Oval cut 5 stone ring.